Imagine you are in excruciating pain. Your stomach hurts badly, and your instinct, as somebody with little or no formal medical training, is to get yourself to the nearest emergency department because you think something could be very wrong. You’ve now done your part as a “prudent layperson,” and made it to the ER. You take comfort knowing that every patient who shows up in any emergency department will be treated or stabilized, according to the federal law known as the Emergency Medical Treatment and Labor Act (EMTALA). Another law, the Prudent Layperson Standard, mandates that if you think your symptoms signal a serious condition that requires immediate medical attention, your insurance company should provide coverage based on your symptoms, not the final diagnoses. Today, patient protections like the Prudent Layperson Standard are under siege by insurance companies that deny emergency care coverage. Policies rolled out by Anthem Blue Cross Blue Shield and others violate the spirit of the Prudent Layperson Standard by denying your emergency medical claim, leaving you with the whole bill if they decide, after the fact, that you were not actually having a medical emergency. Is your condition an emergency or non-urgent? There is a 90 percent overlap between emergency and nonurgent symptoms, according to a 2013 Journal of the American Medical Association study. You cannot possibly be expected to know – before you get to the ER – whether your stomach pain will turn out to be something non-urgent, like indigestion, or something potentially deadly that requires immediate medical attention, like a ruptured appendix. Even as a practicing emergency physician with nearly 30 years of experience, it can be hard for me to tell the difference between nonurgent and emergency symptoms without a thorough exam. How can an insurer expect people to do that before they leave their homes? If you rely on Anthem insurance in any of the six states (GA, KY, IN OH, MO, NH) where this denial policy is active today, your insurer is putting you in a precarious position. This policy forces patients to self-diagnose their symptoms and make a best guess whether they should visit the ER. 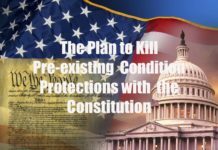 If you live in other states, you also need to be concerned, because all insurance companies are paying attention and will follow suit unless Anthem is stopped. Patients could decide to skip a potentially necessary visit to the emergency department, “waiting it out” because they are afraid that they will be saddled with a large bill. If you have the symptoms of a medical emergency, this is not a decision that you should have to make. Anthem and others believe that denying coverage will stem the “rampant misuse” of the emergency room and curtail unnecessary visits. The reality is that the overwhelming majority of patients who go to the emergency room experience symptoms consistent with true medical emergencies. The insurance industry supports studies showing that the number of “unnecessary” emergency visits, those that could be better addressed by primary or urgent care, is as high as half or even close to three-quarters of all visits. It may surprise you to learn that the US Centers for Disease Control and Prevention (CDC) tracks emergency department data and it found that the number of nonurgent visits is significantly lower than that – about 5 percent. Emergency physicians are not the only experts that continue to oppose these dangerous policies. Sen. Cardin (D-MD) and Sen. Claire McCaskill (D-MO) have sent letters to the Secretaries of the U.S. Department of Health and Human Services and the U.S. Department of Labor expressing their concerns about possible violations of the Prudent Layperson Standard. In her letter, she also requested a variety of documents and evidence of the cost savings this policy would provide. She has yet to receive a publicly available response. The American College of Emergency Physicians (ACEP) will continue to advocate for patients who seek necessary emergency medical care. In a series of new videos, ACEP depicts ordinary patients who, because of misguided policies like Anthem’s, question the need to visit the ER because they fear a big bill. In addition to Anthem, insurers like United Healthcare are under fire for denying coverage. One particularly egregious denial involved a two-month-old baby who was struggling to breathe, prompting Rep. Ben Ray Lujan (D-NM) to contact that company’s CEO. Another company, Blue Cross Blue Shield of Texas, is under serious scrutiny for emergency coverage denial practices that discourage their HMO patients from seeking appropriate care. Anthem and others continue to deny patients who experience serious health scares like fever with serious abdominal pain and other symptoms. In Kentucky alone, it is estimated that thousands of patients have been denied emergency care coverage. Insurance that abandons you in an emergency is no insurance at all. The latest attempts by insurance companies to scare people away from getting necessary, and potentially life-saving, medical attention are self-serving, reprehensible and put millions of people in danger. This must stop. For more information, or if you have a story to share about being denied coverage, go to www.faircoverage.org.